Our grandson, Jordan, loved using the Oreck. 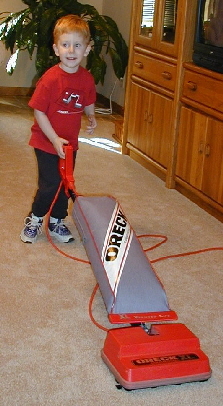 he was only 3 and had no problem maneuvering the vacuum. Oreck uprights generally weigh approximately 8 lbs.